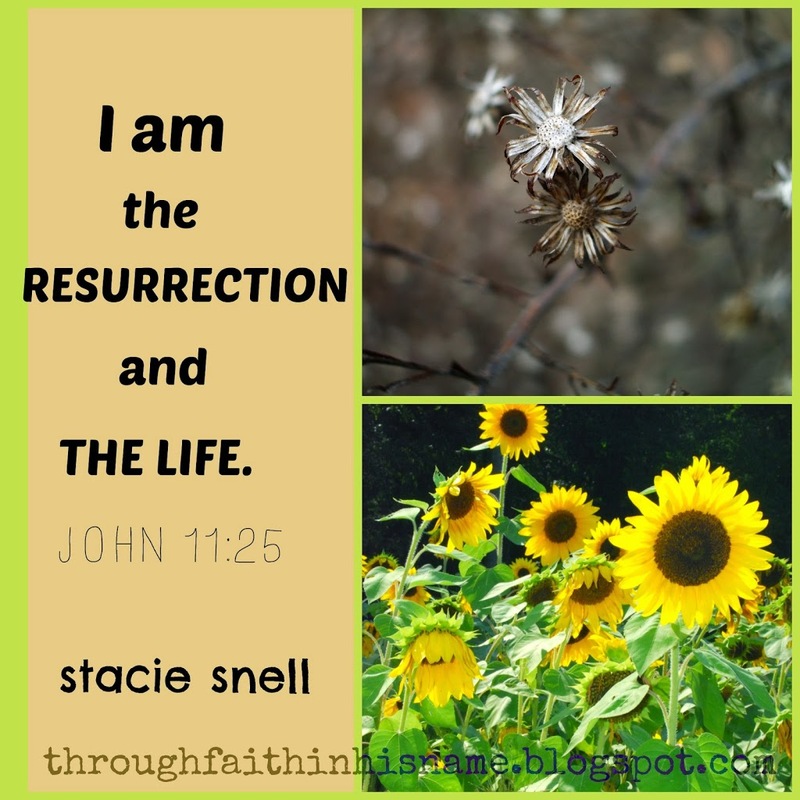 This entry was posted in Devotional and tagged Bible Jesus on August 8, 2014 by stacie.snell. Have you ever had a dream crumple and fall right before your very eyes? It’s heartbreaking when that happens because our dreams are birthed out of the deepest desires residing in our hearts. I recently had a conversation with a friend of mine about how we thought we saw some of our dreams die right before God raised them back to life. I shared with her that when I had a miscarriage with my first baby I thought the dream of becoming a mother was lost too. We had been trying for months to get pregnant, and as the months went on and discouragement set in, I picked up some other negative attitudes and emotions along the way: envy, doubt, and stubbornness to name a few. During the time of dealing with my loss God worked in my heart to purify my motives. It was as if He had to allow the dream to die to raise it back up in a pure and selfless form. My friend shared her story of waiting in the waiting room of her doctor’s office where she would schedule her hysterectomy. Surrounded by a room full of pregnant women, she watched her dream of becoming a mother whither to the ground. Soon after her hysterectomy, God took her by the hand and led her down the path to adoption. She laid the dream to rest, and God resurrected it, bringing it back to life as His will. When a seed is planted, it has to die in the ground before it can be raised to life as a fruitful plant. If you are watching a dream fade away, take heart my friend, because I don’t believe God is done with it yet. He may be letting it die just so He can resurrect it into the plan He has been writing for your life. He’s got big plans for you, and He is the Resurrection and the Life. Let’s watch and see what He does! Father, we come to you with the deepest desires of our hearts, our most treasured dreams. As I come to you with my dreams, I don’t want you to have to pry my fingers off of them. I want to bring them to you with open hands and a surrendered heart. I know you can bring death back to life, so we ask you to do just that, Lord. Take our dreams that seem so dead, and as we lay them down in surrender, resurrect them into whatever you want them to be. We trust you, Lord. We know the plans you have for us are good. My dreams are yours. My life is yours. I love you, Amen. Such a hopeful, tender Truth! Thank you for sharing! !